A Town Like Paris Falling in Love in the City of Light | Free eBooks Download - EBOOKEE! At the age of twenty-eight, stuck in a dead-end job in London, and on the run from a broken heart, Bryce Corbett takes a job in Paris, home of l'amour and la vie boheme; he is determined to make the city his own-no matter how many bottles of Bordeaux it takes. He rents an apartment in Le Marais, the heart of the city's gay district, hardly the ideal place for a guy hoping to woo French women. He quickly settles into the French work/life balance with its mandatory lunch hour and six weeks of paid vacation. Fully embracing his newfound culture, Corbett frequents smoky cafes, appears on a television game show, hobnobs with celebrities at Cannes, and attempts to parse the nuances behind French politics and why French women really don't get fat. When he falls in love with a Parisian showgirl, he realizes that his adopted city has become home. 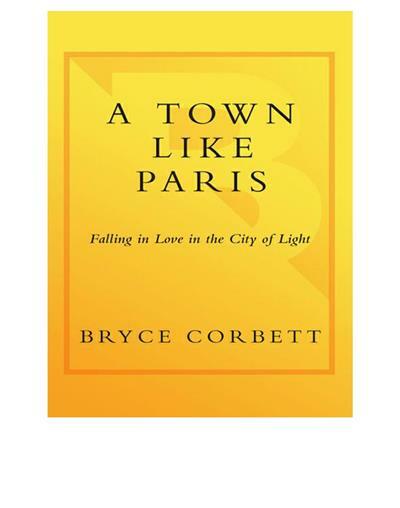 As lively and winning as Peter Mayle's A Year in Provence and Sarah Turnbull's Almost French, A Town Like Paris evokes the beauty, delights, and charms of Paris for an ever-eager audience of armchair travelers. No comments for "A Town Like Paris Falling in Love in the City of Light".